A great tool for independent reading both within and outside the classroom, this reading log enables students to set weekly reading goals, chronicle reading time and pages, record new vocabulary words and their definitions, summarize weekly reading, and reflect upon the material once complete. 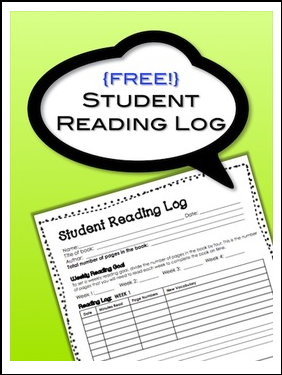 Created for high school and middle school language arts students, this log can be adapted for a variety of ages and subjects. A shout out to the "Font Fairy" and Tracee Orman (for her free border) on TpT for enabling me to spruce up the look and feel of this resource--we teachers can use all the help we can get!